Prepare for the new year at Hogwarts with this lovely mini mug, adorned with the crest of Gryffindor. 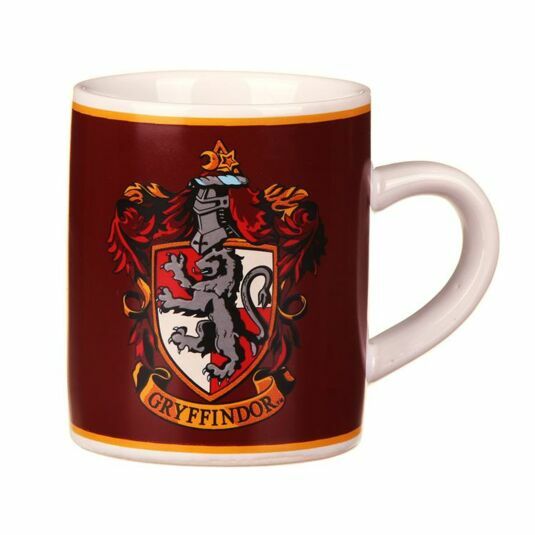 “Where dwell the brave at hear, their daring, nerve, and chivalry set Gryffindors apart.” Celebrate this brilliant house, and the many stories they lived through, with this mini-mug. This mug is perfect for children, or perhaps adults who enjoy a large espresso before heading off for a busy day at the Ministry of Magic. 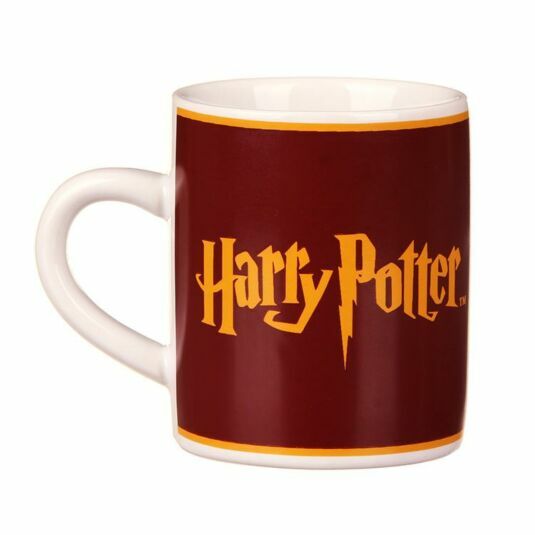 Bedecked in the deep red colour of Gryffindor, and one side of the mug has the famous and scrawling text from the movies, reading Harry Potter. 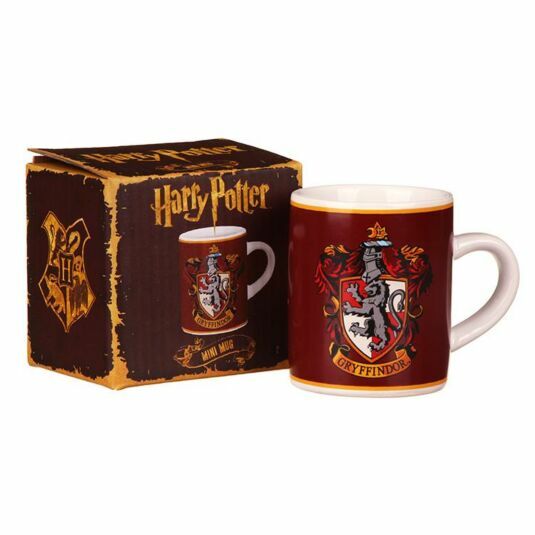 This product comes in a Harry Potter themed box, making it a fantastic gift for a super fan, or even just for you. It is sure to be a proud addition to any Harry Potter collection.